The failure of a currency is not a pleasant thing. It is usually accompanied by widespread social unrest, crime, impoverishment, and ruin. Venezuela is like a laboratory experiment in currency failure – something going on before out very eyes. Of course, a lab experiment is useful only if something is learned from it. 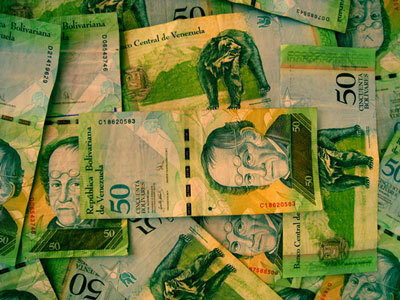 Yet there is no evidence that our monetary and fiscal authorities are learning anything at all from Venezuela’s monetary fiasco, running an annual inflation rate now of about 46,400 percent. Of course, Venezuela didn’t have to ruin its economy and impoverish its people with its own laboratory experiment in bad-faith money. It could have learned from other modern inflations, such as in Hungary in 1945-46 in which prices doubled every 15 hours! Even the famous frenzied Zimbabwe inflation was only about half that rate. The Venezuela tragedy continues to play out year after year, without a course correction, a return to honest money. Accounts of the suffering of its people would fill countless book and endless documentaries. Here are a few observations from a recent USA Today report on Venezuela. Three million other Venezuelans like her have fled the country, a million to Columbia, half a million to Peru, and the rest to other South American countries. “Without shelter and without jobs, throngs of immigrants sleep on the streets and beg for money and food,” USA Today reports. What is the fundamental difference between any failed currency and the US dollar? Except for degree, not much. Like other currencies that have in time returned to their ultimate commodity value (what is the value of little rectangular pieces of paper, especially those that have already been printed on?) the US dollar in unbacked and issued without restraint. If you think that is an exaggeration, let me point you to the trillions of dollars the Fed created out of thin air to buy government bonds and toxic mortgage securities from the money center banks in the years between 2008 and 2015. That’s money printing on a Venezuelan scale! Incidentally, that money still hasn’t been assimilated into the general economy and reflected in consumer prices. Meanwhile, Reuters is reporting on a trend we have discussed: foreign investors, both sovereign and private, are turning up their noses at US Treasury offerings. Reuters reports the weakest foreign participation in US auctions in a decade. Just when the US needs to borrow the most. If they aren’t buying US debt, what are they buying? So is anyone who has learned from monetary laboratories like Venezuela.